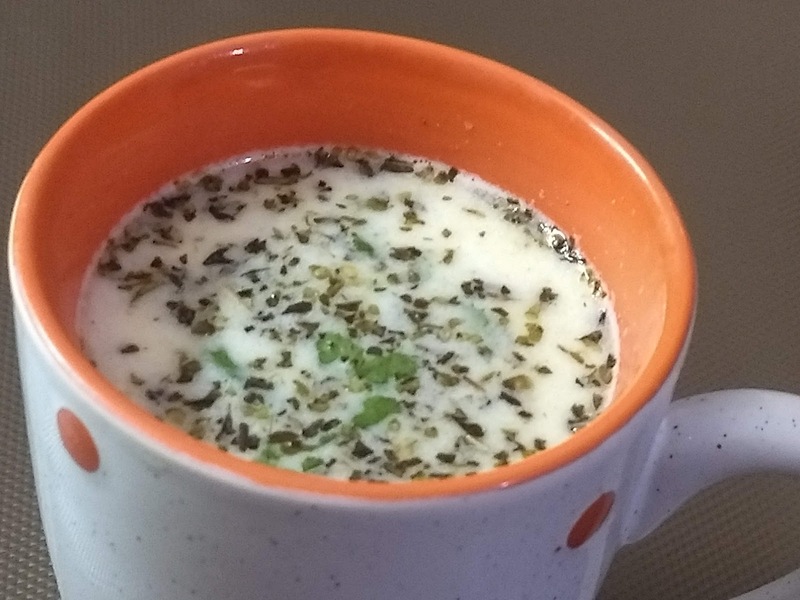 Homemade soups | घर पर सूप कैसे बनायें?. Let us see the benefits of cheese before starting the recipe. vitamin B12 and protein. Regular consumption of cheese in diet can help women in osteoporosis disease. In a heavy saucepan, add 1 Tbsp butter and finely chopped garlic and saute for a minute. Now, add finely chopped onion and again saute until it turns to a golden brown colour. Now, add 1 cup water and bring it to boil. When water boil, add milk and stir continuously until it boils. Then, add cheese slice/cubes, mixed herbs, black pepper powder, salt, oregano and then boil on low heat for 5 minutes. You can also add more cheese slices/ cubes if you like more cheesy soup. You can also add vegetables like mushroom, boiled peas, boiled corns, carrot, boiled broccoli. You can also add peri-peri masala to make it tastier. Served this soup with garlic bread/ pasta/ bread sticks or with bread croutons.